The bio-tech company Monsanto can sell genetically modified seeds before safety tests on them are completed, the US Supreme Court has ruled. A lower court had barred the sale of the modified alfalfa seeds until an environmental impact study could be carried out. But seven of the nine Supreme Court Justices decided that ruling was unconstitutional. The seed is modified to be resistant to Monsanto's brand of weedkiller. 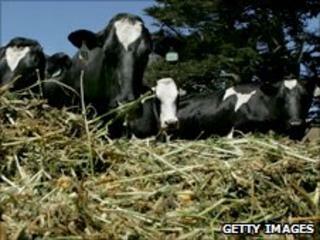 The US is the world's largest producer of alfalfa, a grass-like plant used as animal feed. It is the fourth most valuable crop grown in the country. Environmentalists had argued that there might be a risk of cross-pollination between genetically modified plants and neighbouring crops. They also argued over-use of the company's weedkiller Roundup, the chemical treatment the alfalfa is modified to be resistant to, could cause pollution of ground water and lead to resistant "super-weeds". But Monsanto says claims its products were dangerous amounted to "bad science fiction with no support on the record".